God created the heavens and the earth in perfection. The earth was rich in flora and faunas. It was splendid in beauty and marvelous in all its habitation. God created the first man and woman. He called the man Adam (mankind) because he represented the first human race who was sinless. However, as a result of sin, God cursed the earth thus causing various catastrophes to cleanse the earth. Adam and Eve disobeyed God which caused a cataclysmic event. The earth became desolate and void with thorns and thistles erupting all over it. I beheld the earth, and indeed it was without form, and void; and the heavens, they had no light. I beheld the mountains, and indeed they trembled, and all the hills moved back and forth. I beheld, and indeed there was no man, and all the birds of the heavens had fled. Adam and Eve repented, and God healed the land. Then the generation of Cain who was marked with sin cohabited with fallen angels and they contaminated the earth. Read also: The floodgates of hell unleashed. The wickedness of man was great upon the earth and God repented that He had made man (Genesis 6). But God is merciful and He saved Noah who was perfect in his generation and his family in the Ark. 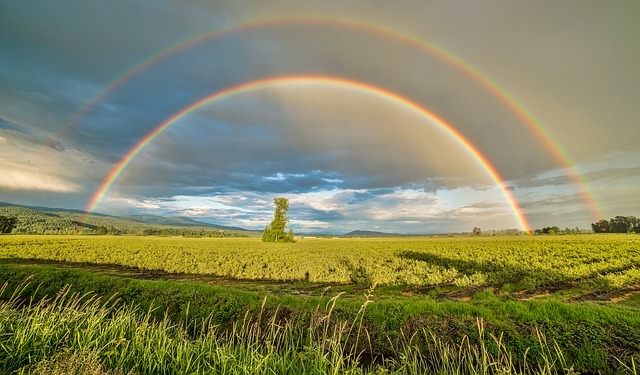 Then God cleansed the earth and placed a rainbow in the sky as the sign of a covenant between God and mankind that He would not destroy the earth again with a flood (Genesis 8:11). The descendants of Ham, one of Noah’s sons rebelled against God by resurrecting the ancient diabolic knowledge of the fallen angels. They decided to build a tower or stargate that would transport them into heaven (Genesis 11). They were united in their evil desire and was about to accomplish their mission when God decided to come down to earth and put a stop to it. The Lord confused their language and they were divided and spread across the face of the earth. Read also: Is there a shortcut to heaven? The earth was also divided during that time. Thus, it can be assumed that a massive earthquake occurred that caused the earth’s land mass to divide into continents. Each continent has a different type of language. Will there be a fourth worldwide catastrophe on earth? If we humble ourselves, seek the Lord with all our hearts and souls and turn from our wicked ways the Lord will forgive our sins and heal our land. Let us make a choice: true repentance for healing or catastrophe for cleansing? Lord help us to make the right choice today!